How long is Assassin's Creed Odyssey? How long will it take to beat Assassin's Creed Odyssey? How much vacation time do you have? Games are getting longer these days, and open-world Ubisoft titles are some of the most demanding when it comes to your time. 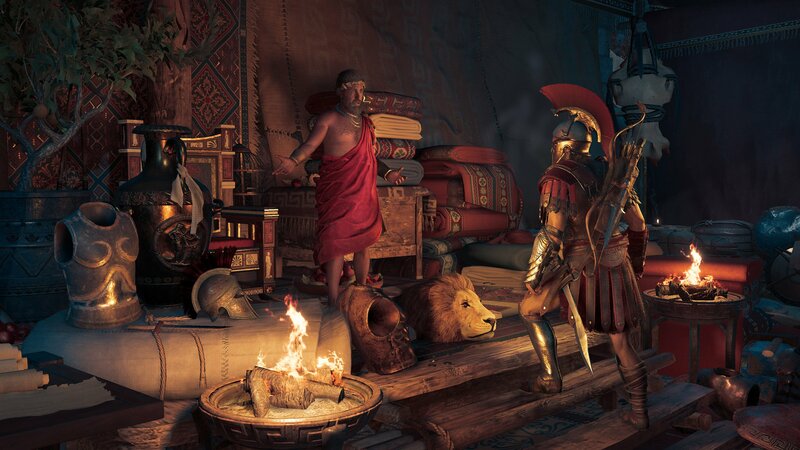 Assassin’s Creed Odyssey is no different, but just how long will it take you to finish based on your play style and desired level of completion? How Long is Assassin’s Creed Odyssey? Sticking to the main campaign and doing little in the way of side quests in Assassin’s Creed Odyssey is still likely to take about 36 hours of your time, but that’s also going to depend on play style. If you’re a stealth player, 36 hours would be on the low end, as it isn’t uncommon to sink 30 minutes into clearing out an area without being detected. If you’re down to just run in and go for combat, you’ll probably be able to get by a little faster. If, however, your intention is to take your time and explore while taking on as many side quests as you can, expect that 50 hours is your minimum, and that’s likely on the low end. It would not surprise me at all to hear someone had put 100 hours into Assassin’s Creed Odyssey. It’s not uncommon to find secrets and clues to random treasures, then wander off the main story path in search of epic loot. When considering how long Assassin’s Creed Odyssey will take you to beat one must also consider your specific options. If you choose the guided experiences with way points highlighting the path and making things easy to find, you’ll be done sooner. If you choose the exploration setting, though, you’ll be wandering around trying to find your next objective for based on conversation cues and environmental hints. To get a better idea of how long it takes to finish Assassin’s Creed Odyssey, follow along with the How Long to Beat website. Also take time to browse our Assassin’s Creed Odyssey walkthrough and guide.